Set your sight. Take flight. Move with freedom. Allow yourself to flow. 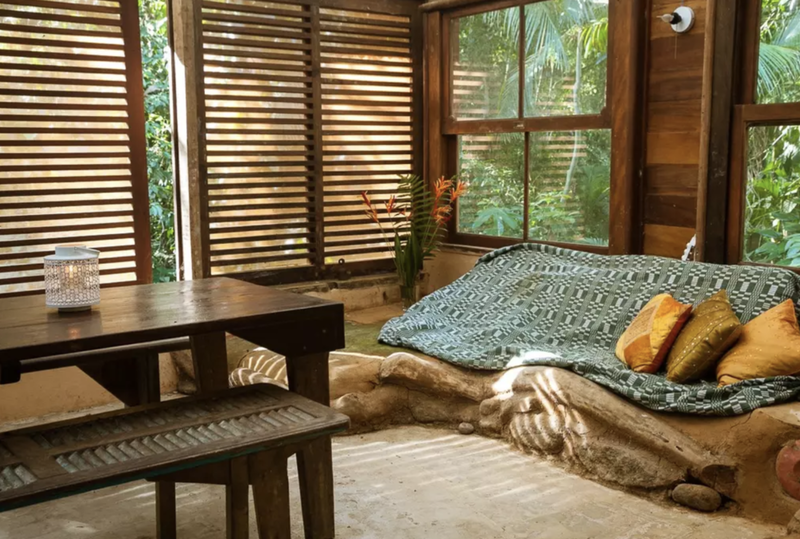 With time to rest, in a place of peace. To gather. To go deep. To find your truth. To return home, anew. 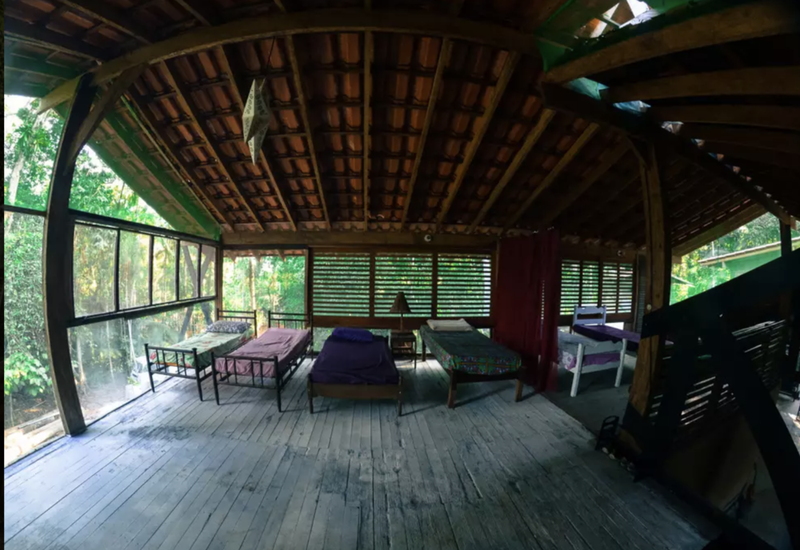 Abieié Dance invites you to join us in Brazil for an immersive and transformational experience. 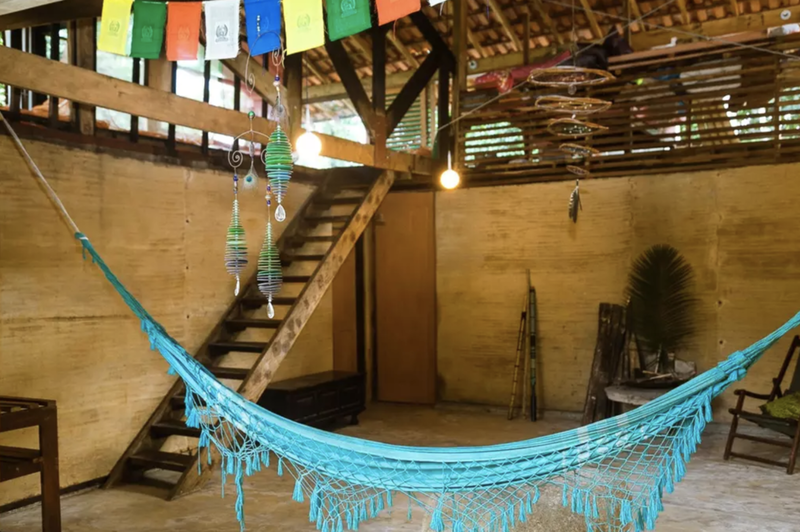 Delve deeper into your artistic and cultural practice and expression where you will have the opportunity to live together, learn, dance, sing, play, hear stories, cook, eat, relax, exchange, grow and breathe in the rich Afro-Brazilian culture. Together we will journey to Casa da Figueira in Ubatuba Beach, São Paulo, Brazil. transport to and from Sala Crisantempo in São Paulo to Casa da Figueira in Ubatuba on Monday 11 February and returning Wednesday 20 February. The house is integrated into nature, very wide, has many openings overlooking the woods. 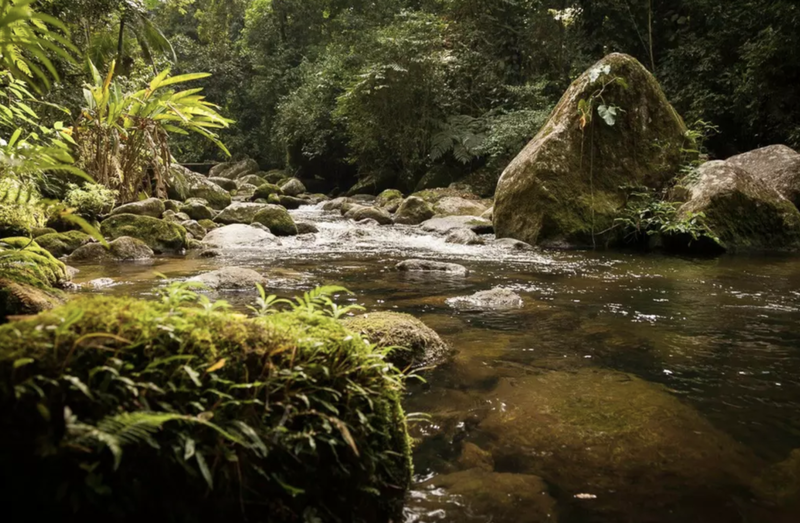 It is next to a river of currents and waterfalls. 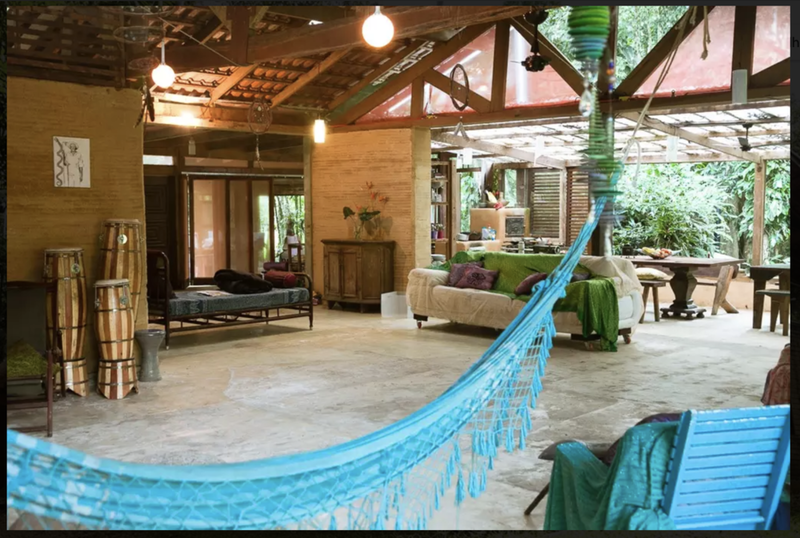 At 6.5 kms from the nearest beach in a region of trails and stunning beaches between Ubatuba and Paraty. 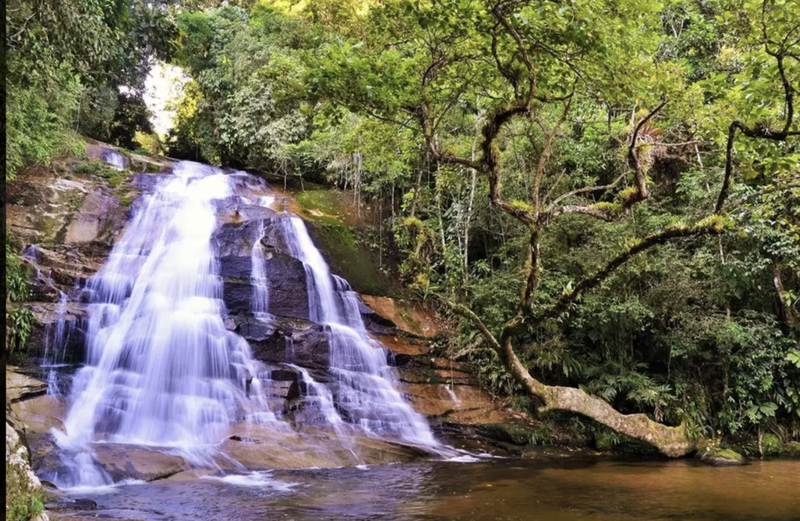 We still have in the hinterland, 2 waterfalls, Cachoeira da Lage, it is less than 1km and the Tombador Waterfall, is almost 4km from a beautiful walk. 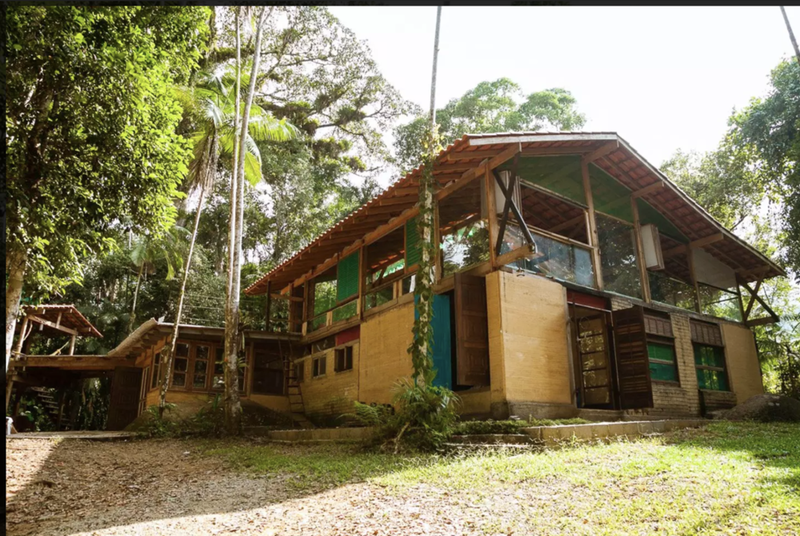 It is a house inserted in the Brazilian Atlantic forest, next to a beautiful mountain river and an ancestral tree, a fig tree that can be 200 years old. 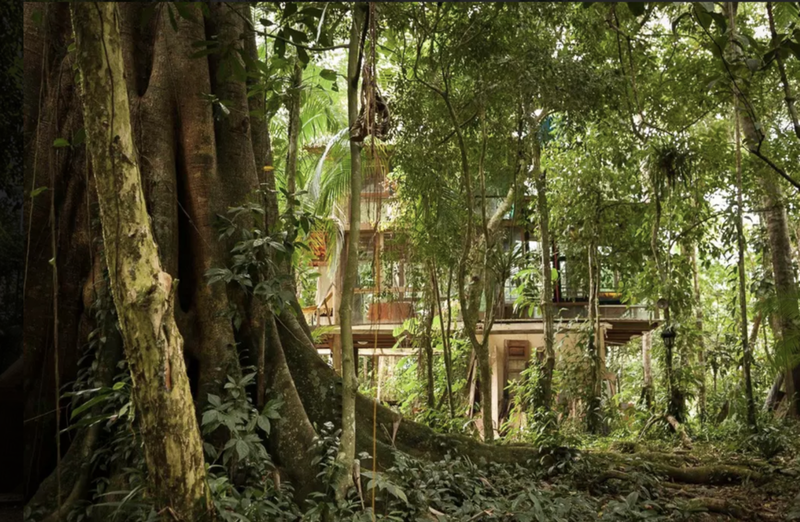 The house has an architecture integrated with nature, with constant views to the human eye of the rainforest. Its structure is supported on walls of Taipa de Pilão (first type of architecture of Brazil). They are beautiful walls of clay of 40cm of width that promote a thermal comfort (important in a place so moist). The air and water are very pure. The water from the taps comes from a spring. The fauna is rich and present, with a multitude of insects and colorful birds. We have squirrels, but we also have snakes that ask you to be alert when we are in the woods. 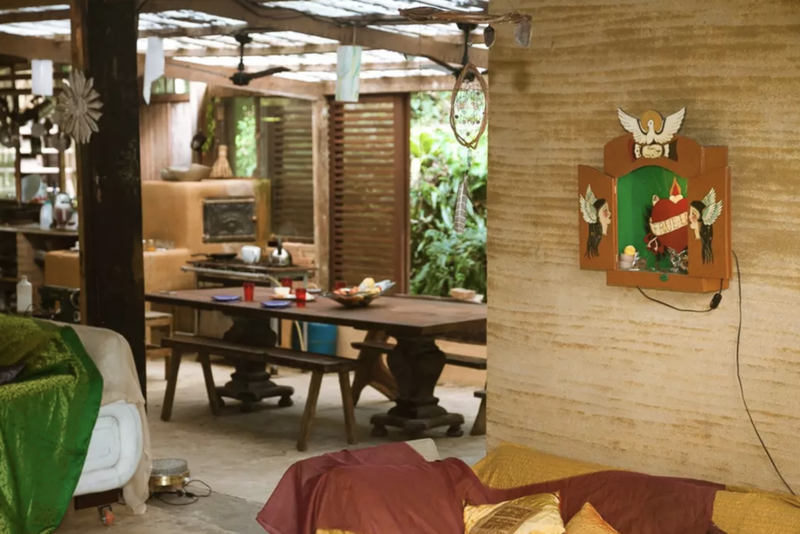 There is a ping pong table, a fireplace, mosquito nets and, as we said, from anywhere in the house, a view of the Atlantic forest. Irineu Nogueira is constantly developing the Abieié dance language; pulling from his infinite sources of inspiration that span the course of his life and career from Orixás dance movement to Samba, West African and contemporary Brazilian styles, as well as Street, Latin, Jazz, and theatre. Each class is influenced by and created for the students present at the time. Expect an experimental approach bridging the gap between modern and traditional. 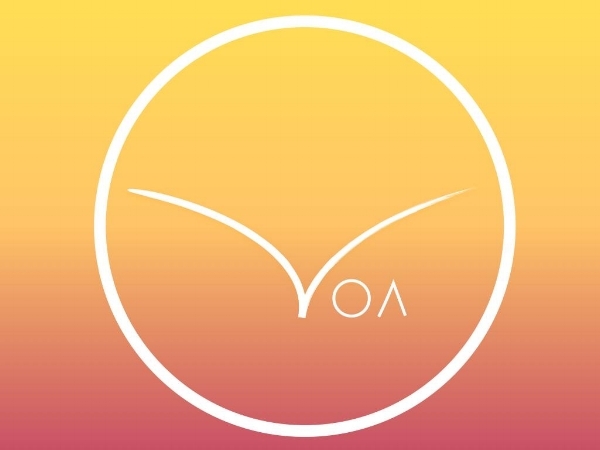 Exploring and connecting with the symbology and musicality of Orixás dance movements. These sessions will take an artistic approach to understanding the traditions and cultural context Orixás movements and their associated stories and meaning. A traditional dance form from Senegal - originally considered a female dance the contemporary form is inspired by the younger generations and now practiced by all genders and ages. It is a celebratory dance and the term Sabar refers to the drums, the rhythms, the dances, and the social gathering of the community to express themselves in a circle in which the dancer leads the drummers through their body language. variety of dances have developed out of the different celebrations of life that we all experience such as birth, death, weddings, initiation, and more. Universally Djembe dance has become considered one of the most widely recognized dance forms from the continent. This approach will pull from the styles and traditions of Guinea, Mali, Burkina Faso, and Senegal. Coco is a music and dance style from north-eastern Brazil - "coco" means coconut in Portuguese, and has been commonly practiced in the costal regions. The traditional coco music consists of singing accompanied by the rhythm of a ganzá, a surdo and a pandeiro, hand-clapping and foot stomping. The coco rhythm is usually marked by three distinct tappings in the soil, or drum beats. The songs are based on call and response, and the melodies and lyrics are often melancholic and can be described as resembling early North-American Blues. The coco dance is based on the African umbigada and is similar to the samba de roda dance. Other than the body being used for movement we can learn, explore, and understand ourselves better through making physical and rhythmic connection our physical being. Through creating music with our own bodies fusing the creation of sound with movement we are able to integrate music and dance within ourselves. The meeting of these two art forms is an expression of a state of pleasure to be who we truly are and to be whole and complete in ourselves. With this consciousness, by moving and expressing together, it is possible to construct a collective consciousness made up of people who truly know themselves, their motivations, and their purpose. Irineu Nogueira is a Brazilian artist who has been living in London for the last 8 years. He has been exploring paths to express his art of movement through experiences in dance, theatre, cinema, fashion and performance. Back in Brazil Irineu developed a respectful reputation in Samba and Afro-Brazilian dances which resulted in his own dance method named Abieié and in several masterclasses worldwide, which audience has included many celebrities and heads of state. Irineu is Vai-Vai Samba School former choreographer and as an actor, he was directed by José Possi Neto, Iacov Hillel, Cao Hamburguer and Fernando Meirelles. He worked as movement coach for Brazilian singers such as Fabiana Cozza, Mariana Aydar, Iara Rennó; danced with Luciana Mello and Luiza Possi; produced and choreographed for Fat Family and Dominó groups; and is a former member of the lambada group Banana Split. Apart from the classes, workshops and events, Irineu is involved in the creation performances and in developing body and movement training and preparation for actors and singers using his dance, theatre and pilates skills. Irineu studied Pilates in the Trinity LABAN Conservatoire of Music and Dance, especially addressed to dancers, which added more to Irineu’s already vast knowledge and strong background. Irineu has a Master Degree in Performance Design and Practice at Central Saint Martins/UAL; is a dance teacher at The Place London; and movement tutor for actors at the renowned Guildhall School of Drama & Music. He is the founder of Bloco Serafina Carnival group and is excited to launch two new projects in 2018: Bambas Festival - An annual Brazilian Movement & Music Festival in London and VOA Dance Retreat - An annual dance trip to Brazil. Mauricio is a musician, producer and dancer from Pernambuco. Since he was 12 years he trained and performed with many groups in Recife and Olinda including bands in Maracatu, Coco, Caboclinho, Ciranda and Afoxé. He worked with Projeto Recriança (working with children from disadvantaged communities) and was also a member of the Mestre Ambrósio group, where he performed as a musician and dancer, touring Brazil, Europe, USA and Japan. In 2014, Mauricio joined the concerto Trilogiado Carnaval, with Marcelo Brakte, and the Charanga project (which he developed in the outskirts of São Paulo since 2012, in partnership with the Asociação Comunitária Despertar), with which he toured with in South Korea, Argentina, New York and France. Mauricio is Musical Co-ordinator of Afro dance classes at Sala Crisantempo in São Paulo (for Irineu Nogueira, Luli Ramos and Janete Santiago). He produced the soundtrack of the shows Renascimento (2006) and Alumeia (2008) of Abieié Cia de Dança, directed by Irineu Nogueira. Mauricio teaches music and dance courses and workshops in several cultural spaces in São Paulo. He has played with the critically acclaimed rapper and singer Criolo since 2011 and recorded on two of his albums. He also plays for singer Luciana Oliveira, the Afroelectro quintet, the group Batucada Tamarindo and with musician Ruso Pasapuso. Alysson is a phenomenal artist with a deep understanding of Candomblé. He has been working with Irineu Nogueira for the last 12 years and they have developed a special father, son connection as well as inspiring, creating and composing works together. He was born and raised in the religion of Candomblé of the Ketu nation, Alysson began his training with the social and cultural organization Abaçai Cultura e Arte, led by one of Brazil’s most prominent percussionists and researchers, Ari Colares. Alysson has considerable training and performance experience as a dancer, having worked with the Balé Folclórico of the state of São Paulo, the Nucleo Luiz Ferron Contemporary Dance Company, and Gumboot Dance Brasil. He has worked as a musician with a variety of artists including Guga Stroeter and his Orquestra HB, Pepeu Gomes, Letierez Leite (also a musician of Rumpilezz), and world renowned artists Ilê Aiyê and Criolo. He currently plays with various bands in Brazil including; Alafia, Höröya, Batucada Tamarindo and Coletivo Roda Gigante. He is the main percussionist and composer with the choreographer and creator of the Silvestre Dance Technique, Rosangela Silvestre. Alysson has also worked as Musical Director for Canadian dance company Dance Migration's latest theatre production, Gaia and has composed for drumming group Baque de Bamba.